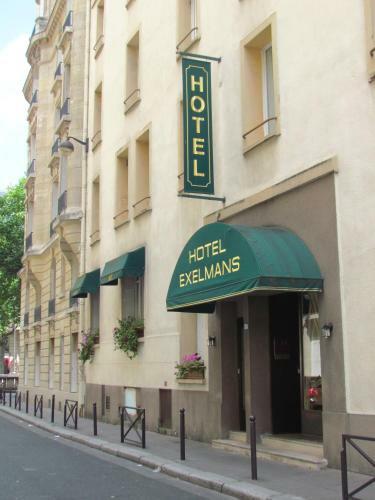 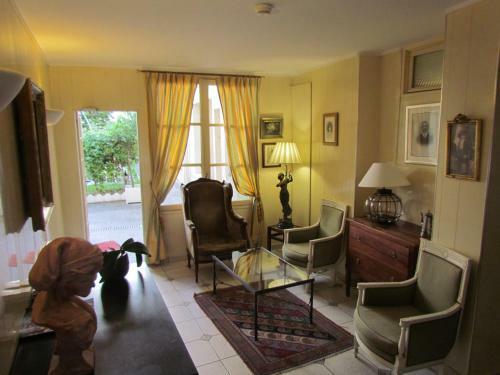 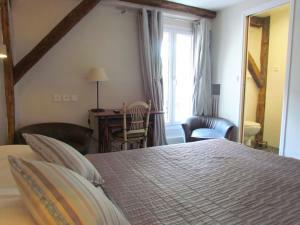 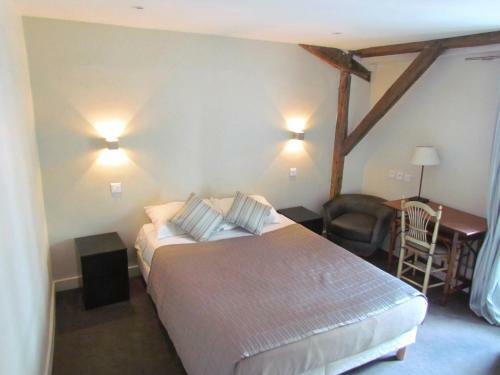 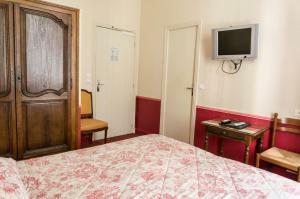 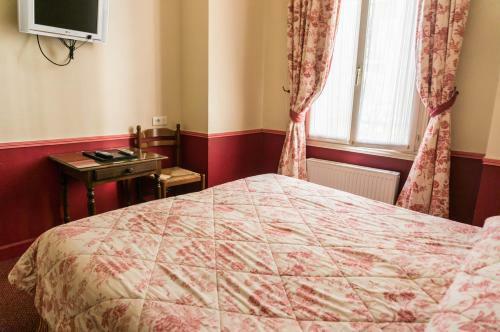 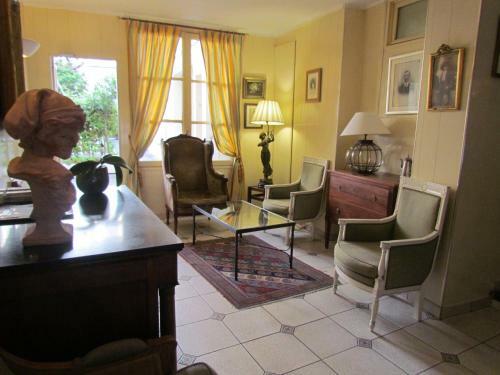 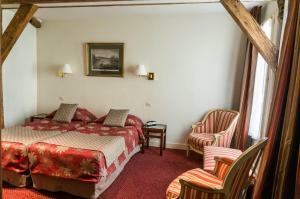 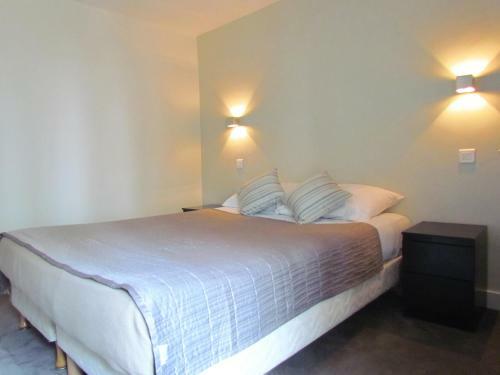 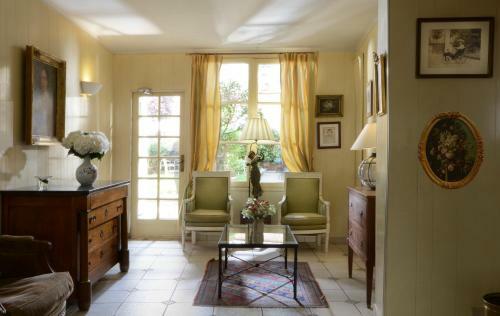 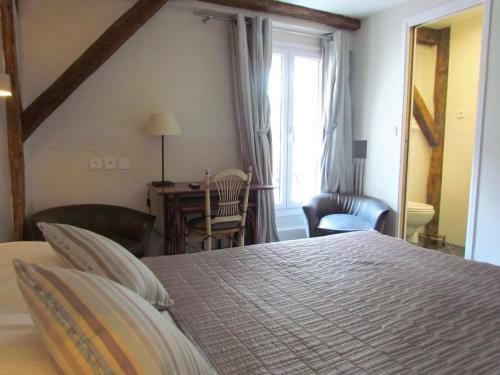 Hotel Exelmans is located in Paris, 450 metres from the River Seine. It offers a lush green garden, stylish rooms and free Wi-Fi access. 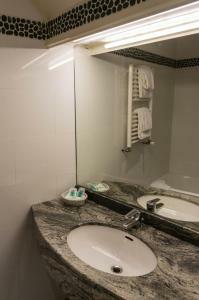 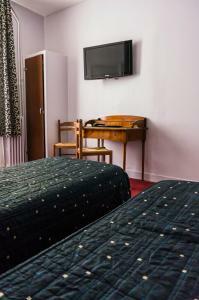 Each room is equipped with satellite TV and a private bathroom. Some of the rooms overlook the peaceful garden. 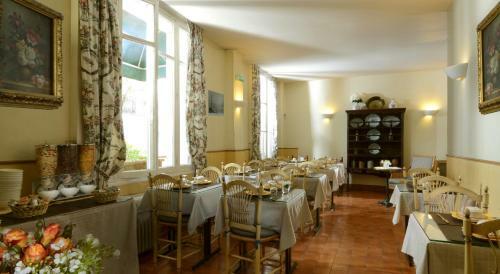 Every morning a cold buffet breakfast is served in a picturesque dining room. 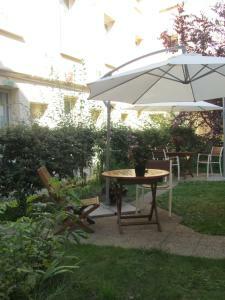 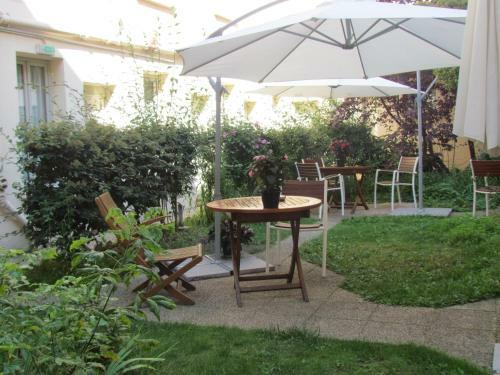 In the summer time you can have your breakfast outside in the tranquil garden. 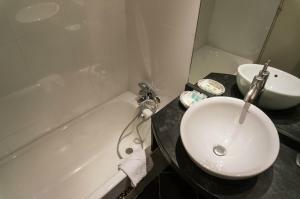 There is a 24-hour front desk service at the Exelmans Hotel. 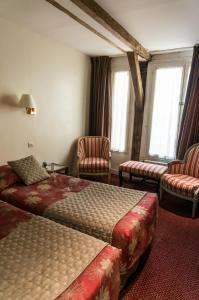 The hotel also features a living room to relax in after a day’s sightseeing. 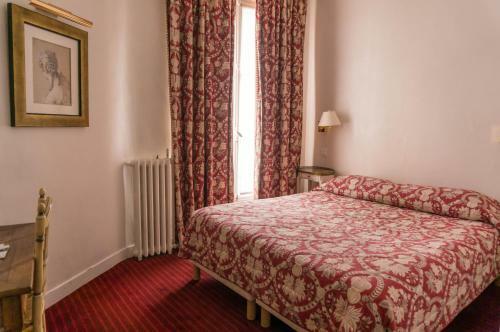 Metro Station Exelmans is 350 metres away giving direct access to Trocadero and Saint-Lazare. 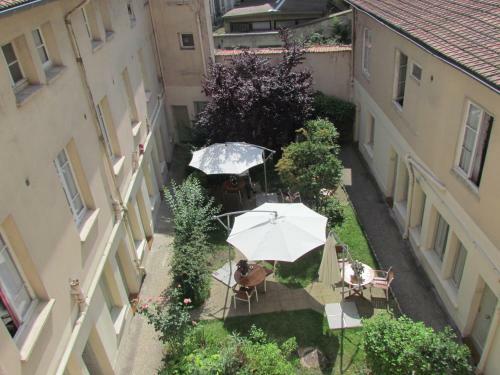 Roland Garros and Parc des Princes is within walking distance from Hotel Exelmans. 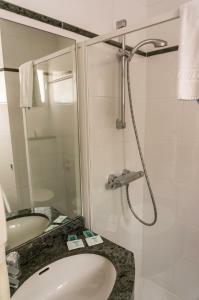 Please note that full payment will be asked upon arrival. This room has satellite TV and a private bathroom. 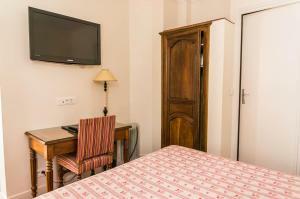 Rate: € 68.10 ... € 159.00; select dates below to get current rates. 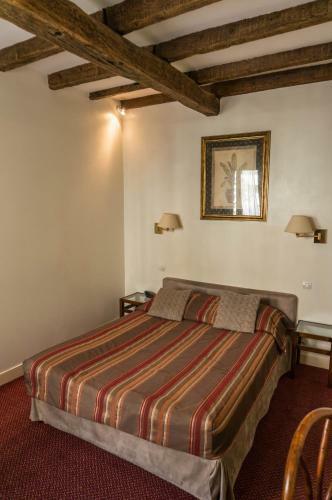 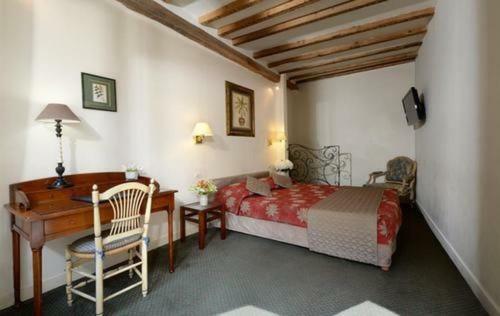 This room is decorated with exposed beams, antique and rustic furniture and a marble bathrooms. 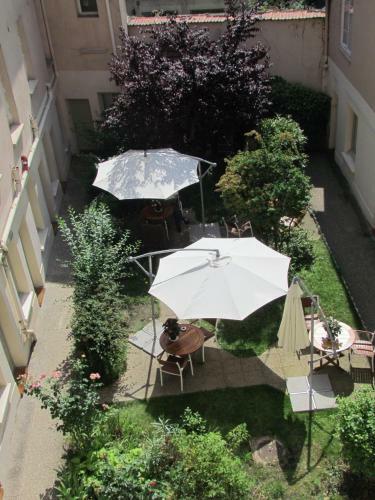 Some overlook the private interior garden. 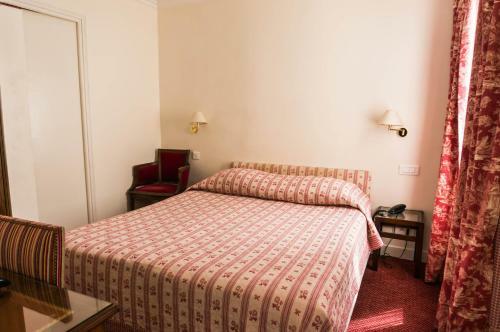 Rate: € 86.85 ... € 156.50; select dates below to get current rates. 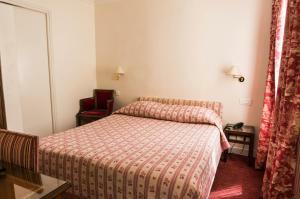 Rate: € 71.10 ... € 169.00; select dates below to get current rates.